The Motor Vehicle Administration (MVA) allows you to schedule certain appointments ahead of time, saving you time and the headache of having to wait in line at your local MVA office. 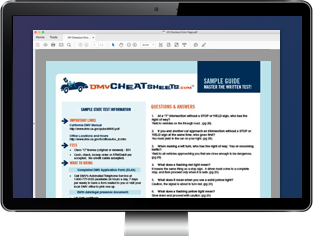 Below, you'll find information on the types of appointments you can schedule, how to go about doing so, and what you'll need to bring to the MD MVA. You should also keep in mind not all tasks require an in-person visit to an MVA branch office. In fact, you can avoid a trip altogether by using the online services offered by the state. Standard (Class C) driver license. Hazardous material (HAZMAT) endorsement for commercial vehicles. Written CDL knowledge test retakes. Basic rider course for 3-wheeled motorcycle. To make an appointment for the Maryland MVA visits listed above, you can use the online MVA Central Scheduling System. While scheduling your appointment, make sure you have your driver's license or permit number handy. If you experience issues with the online scheduling system, you can call an MVA customer service representative at (410) 768-7000 for assistance. Commercial driver license road skills test. Basic 3-wheeled motorcycle rider course (requirements on MVA website).